A smart city initiative is the target of people to live in, it includes all different types of leisure and connectivity; electronic data, sensors and full information and communication technology ICT that used IT managing assets, commercial, industrial, traffic, networks and all matters that related to sustainability and Eco-system. It helps people to have a positive interaction with the place, where they find a high performance of infrastructure. Thus, the smart city is a crucial argument to improve the quality of life and strengthen the relationship between cities and citizens. 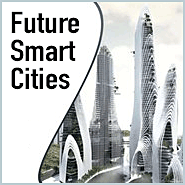 IEREK organizes the second international conference on "Future Smart Cities" in collaboration with Universiti Putra Malaysia, where the city has a promising potential of transformation to be smarter.